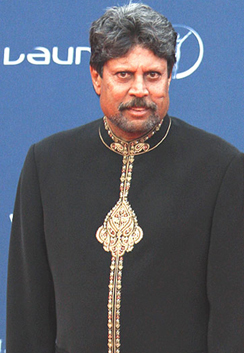 Former India Kapil Dev took a dig at the Cricket Board on Thursday for not giving the triumphant Indian squad more time to unwind after their fabulous World Cup triumph on April 2 and for paying much more money to represent their IPL franchises than the country. "The players did not get time to unwind and enjoy their World Cup victory. They had worked three years for it. They just got four days (before IPL began). They should have got more time to enjoy the (triumphant) moment," the former India skipper said here. "If you don't give time to unwind, you lose the passion to play. That's what happened in England (Team lost Test series 4-0 to the hosts). They went through the motions and there was no passion which is very important when you play sports," said Kapil. 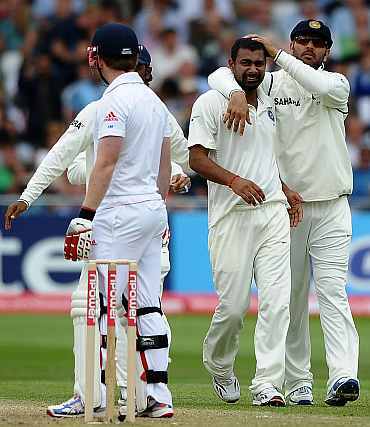 "What I saw at Lord's was the worst I have seen. 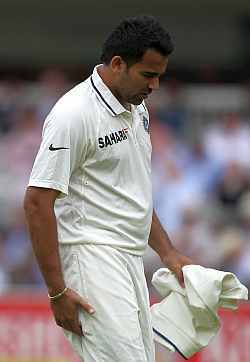 On the second day of a Test series the captain (Mahendra Singh Dhoni) removed his wicket keeping gloves and bowled. He was asking Ishant Sharma and Praveen Kumar whether they were tired. I would never have let him do that and would have bowled 25 overs on that day. You need to have attitude," he said. "No cricket should be played for at least a month anywhere in the world after a World Cup," he added. Taking up the debate over club versus country, Kapil said he can never comprehend how players can get more money while representing their clubs (franchises in IPL) than their country. "I got confused here every time. They are run by the same organisation. How can the same organisation (BCCI) give more money to play for club and not for playing for the country? I do not agree with that," he said. The former national coach also suggested to the Board to cut down on the burden on India's fast bowling lot in order to cut down on the injuries. "Over the last 20 years we have had good fast and swing bowlers in Javagal Srinath, Zaheer Khan, Venkatesh Prasad and the likes. But the Cricket Board should understand how much burden the fast bowlers can take. They can't bowl for 365 days," he remarked. He also took pot shots at modern fast bowlers for going to the gymnasium more than working out on the field. "These days fast bowlers spend more time in the gym and they don't want to bowl more than four overs. In our days we used to run around the ground to strenghthen our leg and stomach muscles," he explained. Kapil, while lauding the BCCI for looking after the interests of old cricketers through the monthly gratis scheme, also wanted the Board to scrap the five-man zonal selection panel and make it into a three-member committee with zonal advisors/talent spotters to feed them. "The five-member zonal selection committee should be replaced by a three or four-man non-zonal committee. The Board has enough money to employ 10 zonal representatives each feeding the three selectors about the talent in their zones," he said. 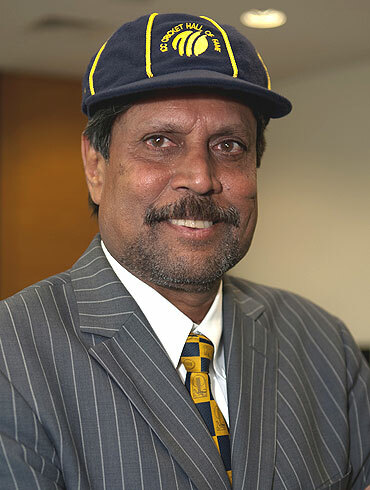 "The other sports bodies should learn a lesson from the Cricket Board on how to look after their people. The Cricket Board has done extremely well (in building its finances). We can depend on it for pension. "But the problem with the Cricket Board is that it never thought it would see such money. There's nothing wrong with that. But if you want to make only money and not care for the game, I will not agree. The game has made you and not the other way around," he said. Talking about his differences with the Board in the past, Kapil said, "If I had a disagreement with the BCCI, I had a reason for it. I am not a yes man. I have played cricket on my own terms. I respect all cricketers and the Board up to a level but no one can push me." Kapil fell out with the Board after joining hands with the Essel Group to promote the Indian Cricket League which was formed before the BCCI came up with its own cash-rich T20 League, IPL. "I did not create ICL. I am only a worker. If you are going to ask me to develop cricket I will do that. They said they wanted to develop young cricketers. There are so many who have not got the opportunity and I felt that the Board shouldn't have any objections to it. They should not have objected to it, but it's their opinion. "I am getting money to do what I know. If someone offered me a coaching job in Timbaktoo I don't have to ask the Board and I never will," he emphasised. Kapil, while praising the media's role in making cricket what it is now, took a dig at it for being obsessed about individual records rather than the team's performance. "You are keener about Sachin's (Tendulkar) 99 hundreds and not about how we are going to win the next series. I am not saying don't give individual performance credit, but it should not be more than the country's performance. We have to change our mindset. If we lose the match what's the use of statistics. To hell with that!" Delving on Shoaib Akhtar's autobiography 'Controversially Yours' Kapil said, "Fast bowling is an art like spin bowling. All artists are crazy. Whoever wrote this book is also crazy." Kapil dismissed the three-captain theory recently adopted by England (for Tests, ODIs and T20s) as unworkable in India at present. "If I am good enough for all three formats why not (as captain)? We have Dhoni as captain in all three formats and he's suitable to play in all of them. How can he be asked to play under someone else in one of the formats? "In India, Pakistan and Sri Lanka egos are much bigger than the thought process. It is not that it can't be done. But it will take time. I don't think it's possible right away in our country," he said. Kapil was in favour of the controversial Decision Review System which has been consistently opposed by the BCCI which has decided to fight against its watered down version too at the next International Cricket Council meeting after the debatable decisions in the India-England series. "Technology is to help the umpires, but the media is so strong that if you give a wrong decision (using technology) you would show it 600 times. Despite technology we want best men on the field (as umpires). It has to be a blend of both. Why not get the best out of technology?" Kapil also advised the Board to spend its resources to hunt for talent in smaller towns as he felt that people in big cities were too busy and also to focus on schools cricket. "90 percent of the cricketers for the next 20 years will come from smaller places and not from Mumbai, Chennai and Delhi where people don't have time. At least 20 percent money should be spent in these small towns," he said. "If you want to be known as a better cricket country, the game should be developed in the schools. BCCI should work on that. If schools cricket is good, then future of Indian cricket will be great," he said. "We always had brilliant players but never a great team. We need big commitment to develop a great team," he added. Kapil said had he started playing golf a little earlier, he would have scored a couple of thousand more runs in international cricket. To a query on the quartet of all-rounders that ruled the 80's-- Ian Botham, Imran Khan, Richard Hadlee and himself -- Kapil said among them Botham was the best batsman, Hadlee the better bowler, Imran the best leader and all-rounder and he himself the best athlete. "Hadlee was by far the better bowler amongst us, Botham the best batsman, and Imran Khan was the best leader... I mean handling those (Pakistani) guys... I told him before you handle your country, handle your team. He said country sambhal sakta hoon team nahi. 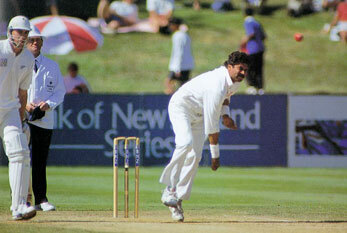 He was also the better all-rounder. But I was best athlete amongst all." He named West Indian Vivian Riachards, Hadlee, Pakistan's Wasim Akram, and Michael Holding as the top cricketers he has ever seen. Asked who was the most difficult batsman to bowl to in world cricket, he named English opener Geoffrey Boycott. "..... khelta hii nahi tha. 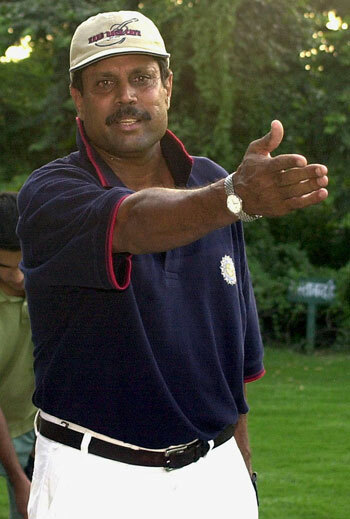 He used to tire our bowlers. He was like Ravi Shastri who used to do a similar job for us." 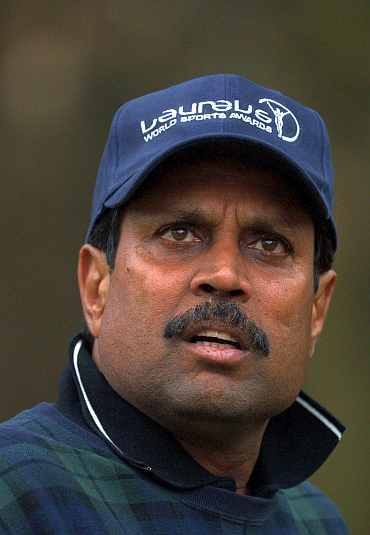 Kapil also felt that among Indian batsman Sunil Gavaskar was the most difficult to dismiss. 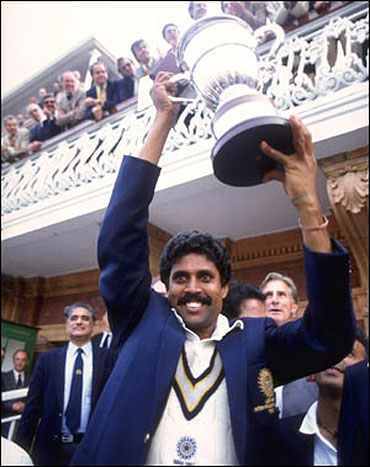 "There was no other feeling which you had when taking his (Gavaskar's) wicket. Vishy (Gundappa Vishwanath) was attractive, but he used to give chances. I knew that, if I didn't get him out in the first six overs, I would have to chase leather all day. "I would rather prefer to bowl to Sachin Tendulkar and Rahul Dravid as I know they will defend good balls and hit only the bad balls. But today's batsmen like Virender Sehwag, M S Dhoni, and Yuvraj (Singh) there is nothing like a good or bad ball. If it's in your zone, they will whack you." When asked whether easy money was corrupting the mind of young players, he said, "Money is an incentive (to do well). If somebody is weak (mentally), they will succumb anyway, maybe to other vices like drinking, smoking or womanising. There are weak characters too. But we too are eligible to make money. "What happened with Pakistan? Senior cricketers did not take much effort, so they (players) drifted away. It's not the case with our cricketers," he added.